Technivorm Moccamaster is a manufacturer of premium quality coffee brewers and grinders. All Technivorm products are handmade in the heart of the Netherlands. And certified by the specialty coffee associations of America and Europe (SCAA/SCAE). And granted the European coffee brewing center’s (ECBC) seal of approval meeting their strict “golden cup” quality guidelines. 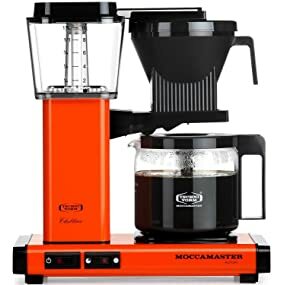 Technivorm manufacturers only authentic Moccamaster coffee brewers and grinders made with the highest quality parts available today. Our philosophy has always been to produce long lasting, reliable, energy efficient, and recyclable products. This should be the last coffee brewer you will ever buy, one that should last your lifetime, when cleaned and descaled properly. Since It’s the first thing you look forward to in the morning, why not make it the best it can be.